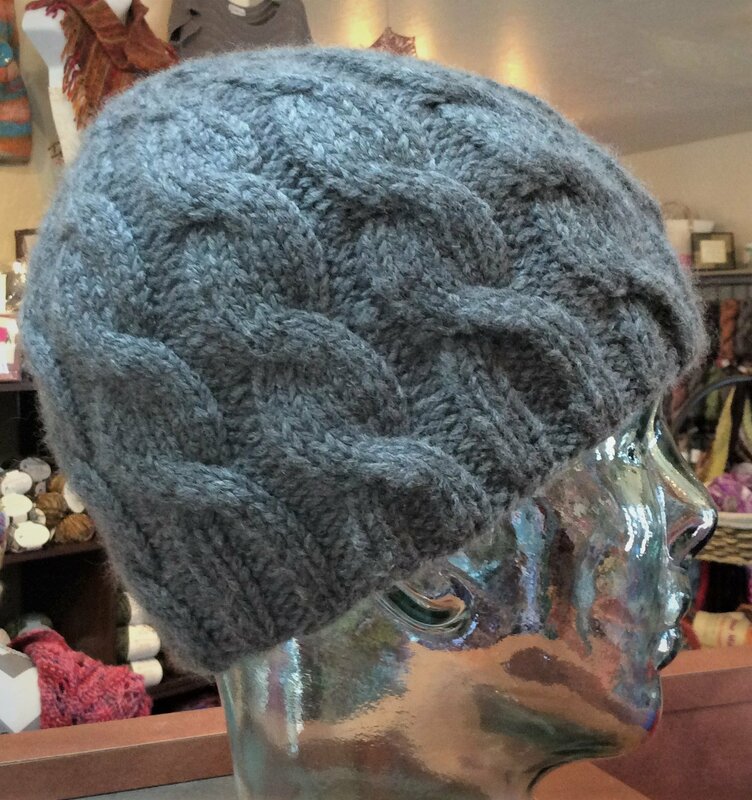 Learn cables in this fun and quick hat! The sample is knit in a worsted weight, merino/cashmere blend and is so soft and unbelievably warm, perfect for the coldest days. With just knits and purls, this is a class for even a beginner knitter.